Reliv is celebrating Middle Name Pride Day! Take this fun quiz to see if you can guess the middle names of some of our executives! The answers are at the bottom! What’s your middle name? 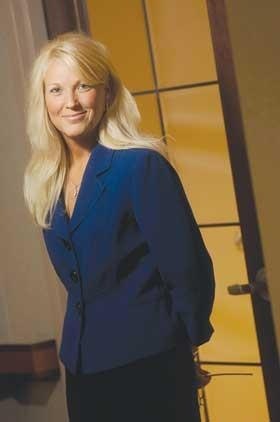 The St. Louis Business Journal named Debra Hellweg, our vice president of operations, to its “40 under 40” list for 2011. The list honors St. Louisans younger than age 40 for their career achievements and community service. Debra has had a big impact with Reliv, of course. She created our internal auditing department five years ago. For her work in internal audit, she became knowledgeable about a wide variety of departments within both U.S. and international office. That is a key reason that Reliv turned to her when we needed a new person to head operations. Prior to coming to Reliv, Debra was internal audit manager at Deloitte & Touche and vice president and auditor of Southwest Bank of St. Louis. On the community service side, Debra was instrumental in launching our annual Week of Caring two years ago. That program has provided much-welcomed help to a number of local community organizations and has been widely popular among employees. Debra also is a volunteer for the Humane Society of Missouri. Join us in congratulating Debra for this honor!